I'm a Medicard member but my interaction with the company was limited to annual physical examinations that they conducted in my workplace's premises. I knew they had an office in Makati but it was my first time to go there. I was expecting just a small, simple clinic so it was a pleasant surprise for me to learn that their office was big and posh. 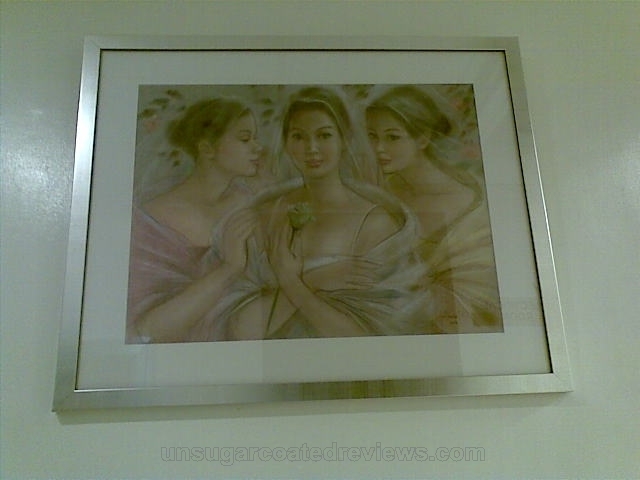 We went up to the third floor for their 20min facial diamond peel treatment. It was the first time for both of us to try diamond peel. The whole building looked spotless and chic. Decorations were minimal but tasteful. The place was well-lit and the temperature was just right, not chilly. To those unfamiliar with it, diamond peel (also called microdermabrasion) involves the use of diamond dust to slough off dead skin cells and stimulate cell turnover. It minimizes pimple scars, fine lines, and sun damage. Compared to other skin peeling treatments, diamond peel has no downtime, so you can do your normal activities right after. 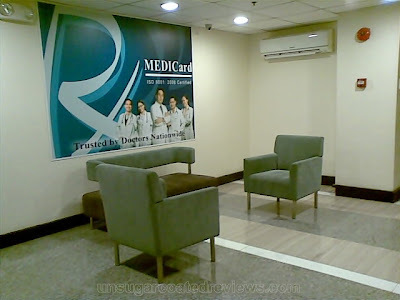 What I liked most about the Medicard clinic was that it was quiet and relaxing. 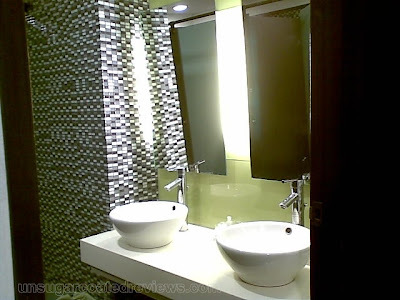 A lot of spas and skin clinic claim to be relaxing but are actually noisy and busy, with the radio playing music, the staff chatting and walking back and forth, and clients lying down next to each other, separated only by a flimsy curtain, with conversations between the staff and the clients within hearing range of everyone else. 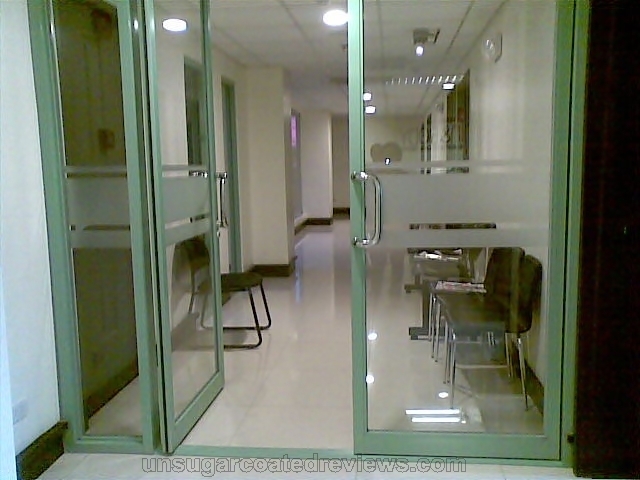 In the Medicard clinic, the treatment was done inside a room, with only the aesthetician and the client inside. I went first. After the treatment, the aesthetician asked me what facial products I used and told me to use a mild soap (such as Ivory) and to not put on cosmetics for 3 days. Moisturizers were not included in the three-day ban and I could also resume using baby powder the following day. I waited for bf outside the treatment room while sitting on this comfy couch. In front of the couch was a pretty painting. I have very sensitive skin so I got a reddish spot on my forehead after the treatment. Bf, on the other hand, came out fresh-faced. 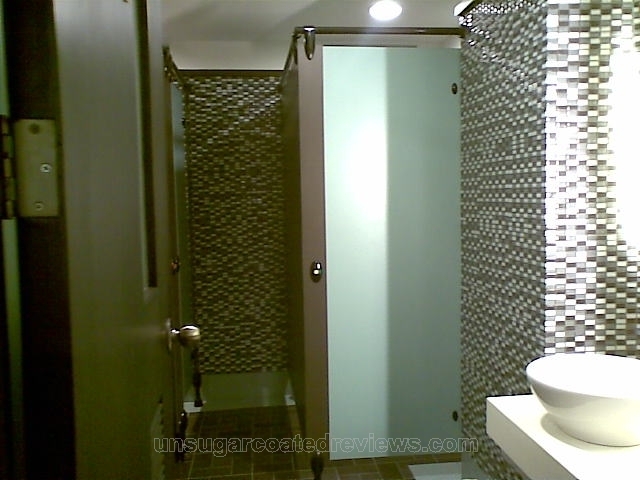 I went to the comfort room before leaving. Like the rest of the building, it was also very clean. Paseo de Roxas cor. Sen. Gil Puyat Ave.
i've never had diamond peel facial treatment before pero i'm considering it. but i have yet to find a clinic where i could go to that's here in cebu. btw, the interiors of the place are really nice. i think ,i deserve microdermabrassion for my sun damage skin. the place is inviting ,sarap magpabeauty. I've got a group of friends working there in Medicard. Peeling, I think, is also beneficial for there's a good effect on the skin, especially skin's rejuvenation. Am I right? Wow! MEDICard has diamond peel? Nice. I love having diamond peel. This place looks really nice! It's nice to know that you can have total privacy when availing their services. Tried diamond peel once too but it was such a bad time to be having that. diamond peel via medicard? cool! would like to have one! is the service free if you're a card holder? I'm a Medicard member but this was not included in our package. We had to pay for it. I can hardly go out as frequent as I want to because of my toddler. Neat place and so cozy as well. Hi, did the reddish spots you acquired disappear? and how long did it take to go away? I have sensitive skin as well and i got red spots also(more like tiny blood clots on my jawline and a little on my right cheekbone)after diamond peel. Hi Ruth. Yup it went away after a few minutes. I should subject myself to facial treatment regularly so I would look "pogi" like the great Ramon Bautista. I should pamper myself and make some facial treatment. 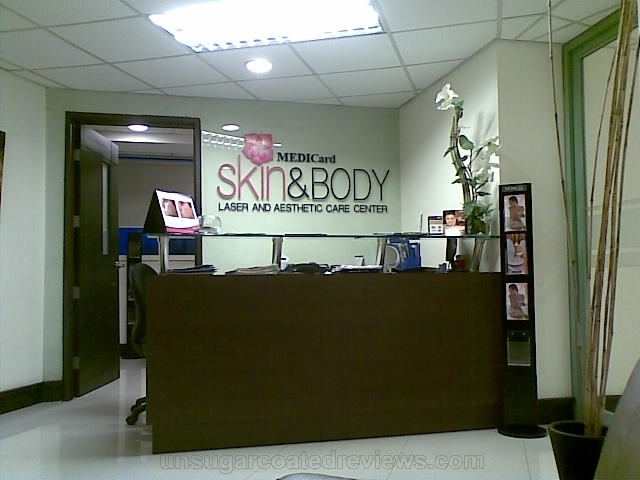 I tried already in Skinlux, one of the skin clinics here in manila . But then I will try this one, it's christmas vacation I should treat myself. Are you guys accepting MEDICARD for derma procedures? how much diamond peel nila? 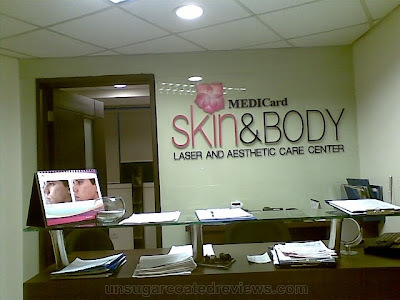 Covered nb ang ang facial or diamond peel pag may medicard?